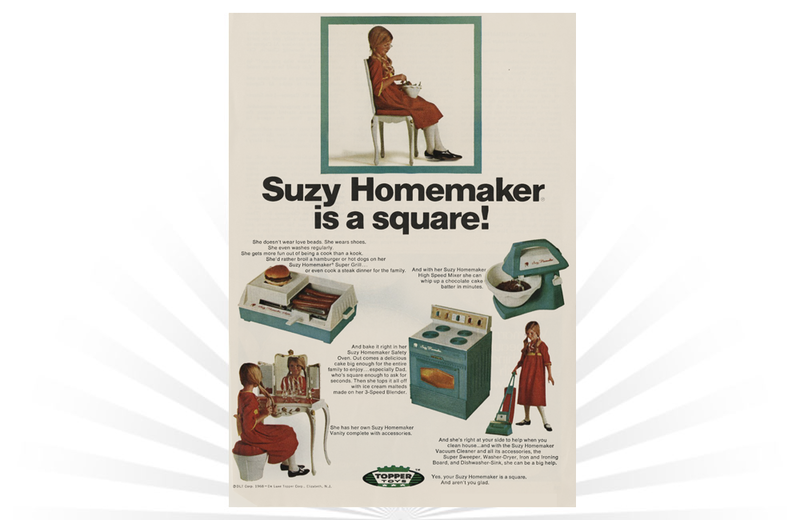 A vintage ad from 1968 for the Suzy Homemaker line of miniature toys from Topper Toys. The line included a Super Grill, High Speed Mixer, Safety Oven, Vacuum Cleaner, and Vanity set. My Mixer was a food-mixing device for children that made the preparation of a variety of food and desserts a "fun-filled adventure in homemaking." "Notice it runs all by itself."